The Lamb Lies Down on Broadway is a double concept album recorded and released in 1974 by the British progressive rock band Genesis. It was their sixth studio album, and the last to feature original singer and frontman Peter Gabriel.It was only a matter of time before Genesis attempted a full-fledged concept album, and 1974’s The Lamb Lies Down on Broadway was a massive rock opera: the winding, wielding story of a Puerto Rican hustler name Rael making his way in New York City. Peter Gabriel made some tentative moves toward developing this story into a movie with William Friedkin but it never took off, perhaps it’s just as well; even with the lengthy libretto included with the album, the story never makes sense. 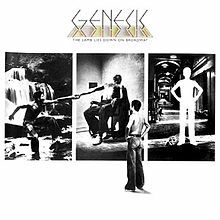 But just because the story is rather impenetrable doesn’t mean that the album is as well, because it is a forceful, imaginative piece of work that showcases the original Genesis lineup at a peak. Even if the story is rather hard to piece together, the album is set up in a remarkable fashion, with the first LP being devoted to pop-oriented rock songs and the second being largely devoted to instrumentals. 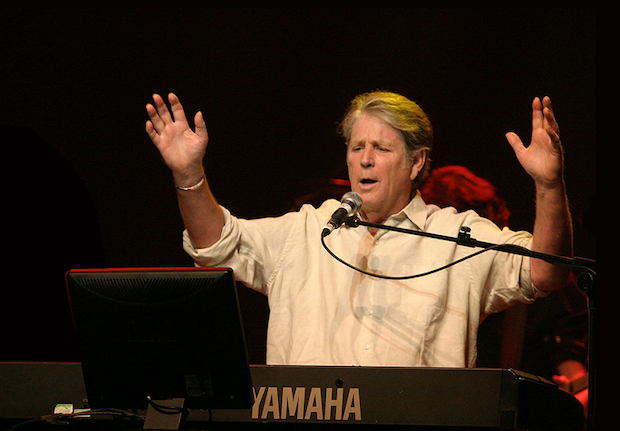 This means that The Lamb Lies Down on Broadway contains both Genesis’ most immediate music to date. Depending on a listener’s taste, they may gravitate toward the first LP with its tight collection of ten rock songs, or the nightmarish landscapes of the second, where Rael descends into darkness and ultimately redemption (or so it would seem), but there’s little question that the first album is far more direct than the second and it contains a number of masterpieces, from the opening fanfare of the title song to the surging “In the Cage,” from the frightening “Back in NYC” to the soothing conclusion “The Carpet Crawlers.” In retrospect, this first LP plays a bit more like the first Gabriel solo album than the final Genesis album, but there’s also little question that the band helps form and shape this music (with Brian Eno adding extra coloring on occasion), while Genesis shines as a group shines on the impressionistic second half. In every way, it’s a considerable, lasting achievement and it’s little wonder that Peter Gabriel had to leave the band after this record: they had gone as far as they could go together, and could never top this extraordinary Album.